Our DCS Alum Ona Gieschen passed away February 22, 2019, at age 94. Although not an active member in recent years, Ona is reconized as the oldest of our group. 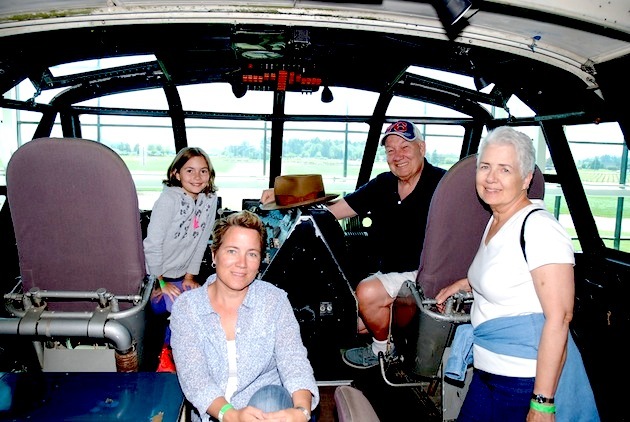 She was a long-time supervisor and narrowbody DCS (Class NB-1) and self-described amateur TWA historian, and suporter of Save-A-Connie in Kansas City. 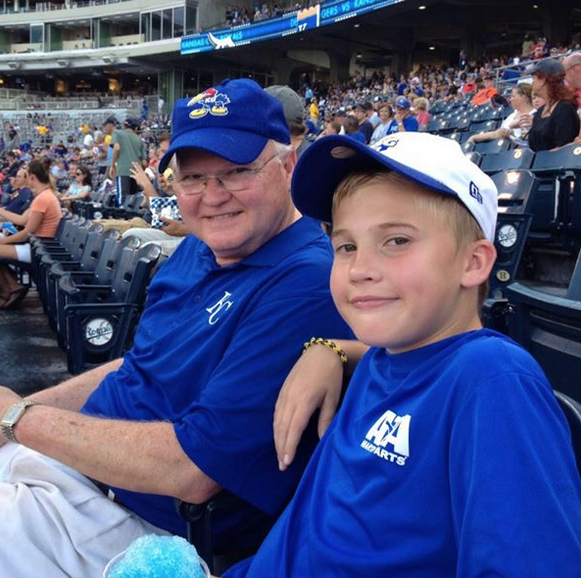 August 17, 2017 - Alums Tom Heebink and John McGlade posed for the camera at Croatia on an Adriatic Sea Cruise. August 2017 - Dual alums (!) 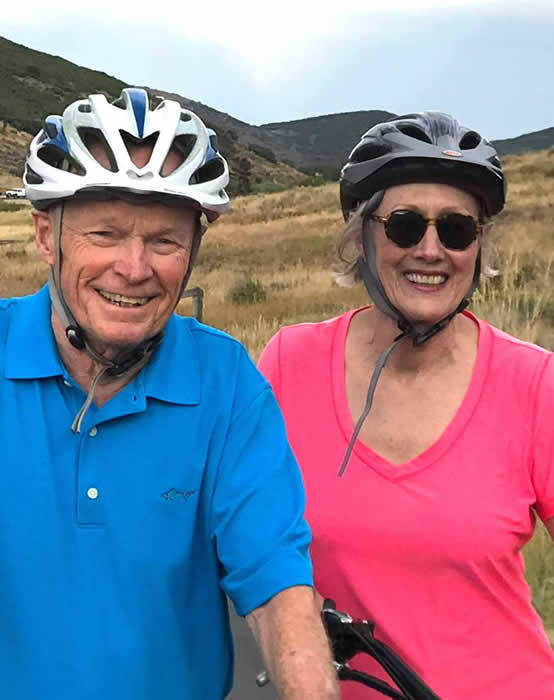 Sandy and Carol Ann King enjoying a Silver Star Bike Cruise in Utah. 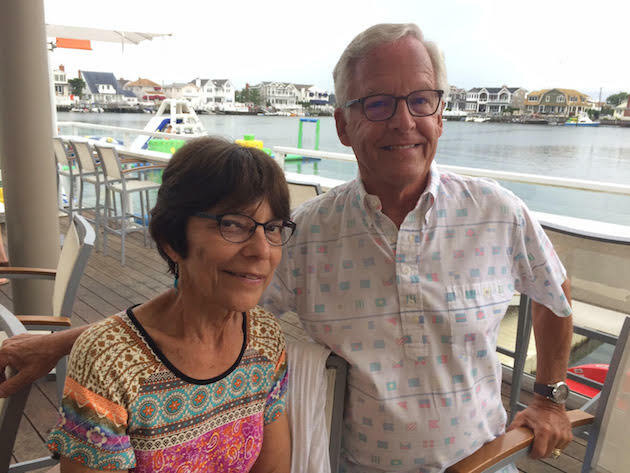 July 29 2017 - Mert and Juanita Nason enjoying a visit at Stone Harbor, New Jersey. 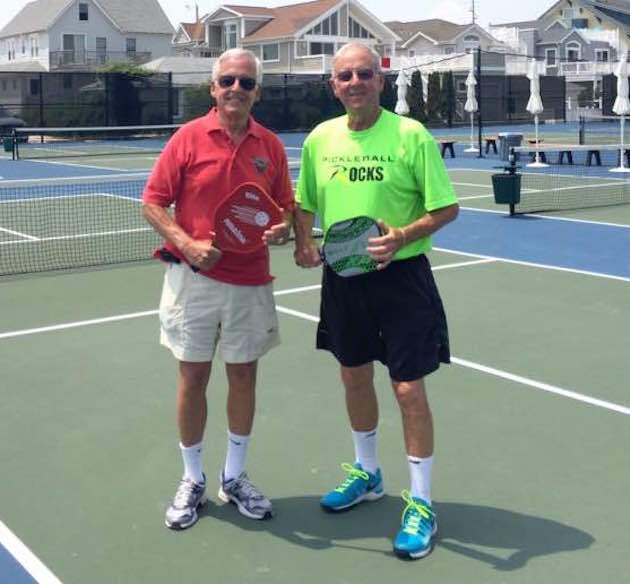 July 25, 2017 - Mert and fellow retired TWAer Ed Hunter on the Pickleball court at Stone Harbor. dawn of our program. 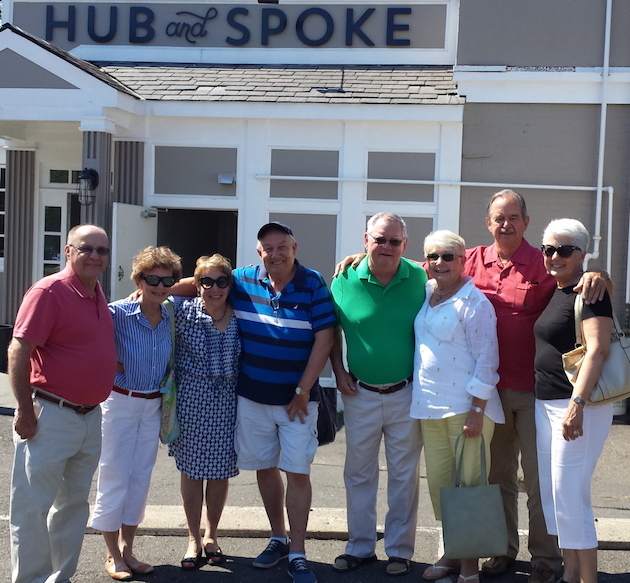 Several members gathered at The Hub and Spoke in Black Rock (Bridgeport), Connecticut, for Sunday brunch. Jon Proctor at Trinity Beach, Sandpoint, Idaho. 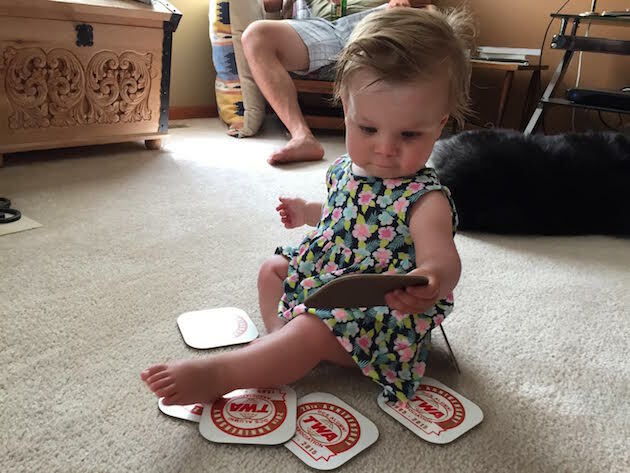 June 14, 2017 - Svein Husevold's one-year-old granddaughter, Audrey, celebrated her first birthday with excellent taste in coasters! 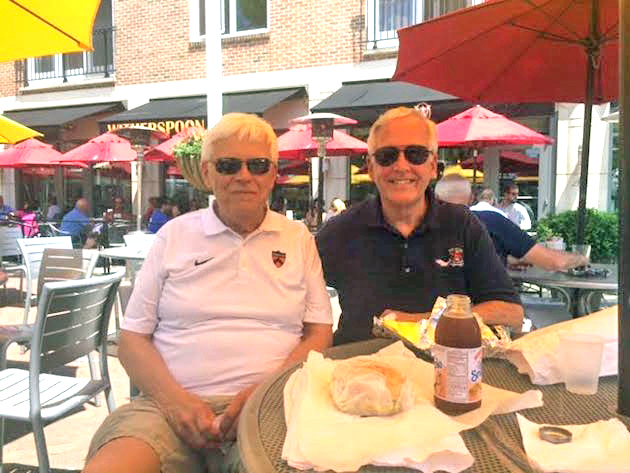 May 2017 - Tom Heebink and Mert Nason enjoyed lunch on the square in Princeton, New Jersey. 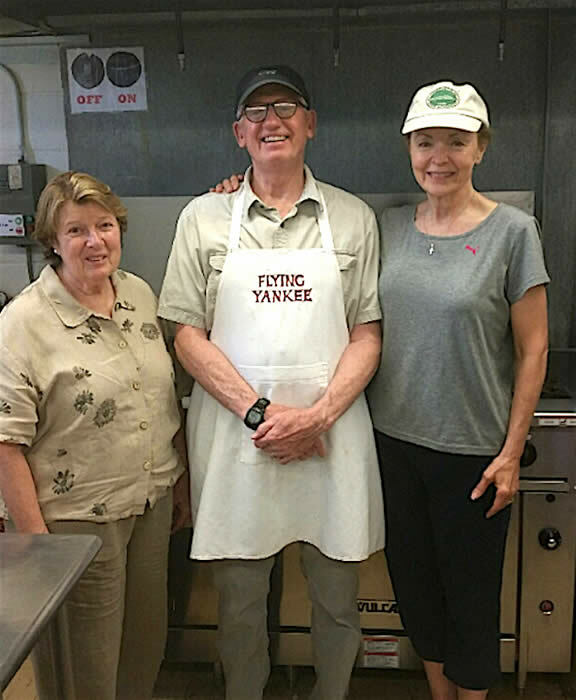 May 2017 - Working as volunteers at the St. Martins Soup Kitchen in Gaithersburg, Maryland recently, Max Billinger (Class 70-2) and his wife Ruth Harris Billinger (TWA flight attendant 1969 to 1989) were pleasantly surprised to learn that fellow soup kitchen volunteer, C.C. Bronder English (Class 75-X), had also been a DCS in a previous life. 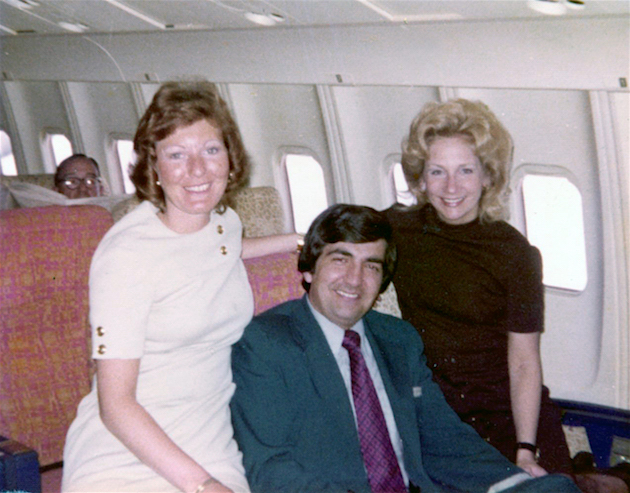 That led to a lively exchange of colorful TWA experiences, some of which were possibly true. We just received this snapshot of Tony Procaccino during his DCS days, and created a member page for him. Do you have similar pics? Send them to Jon for posting. 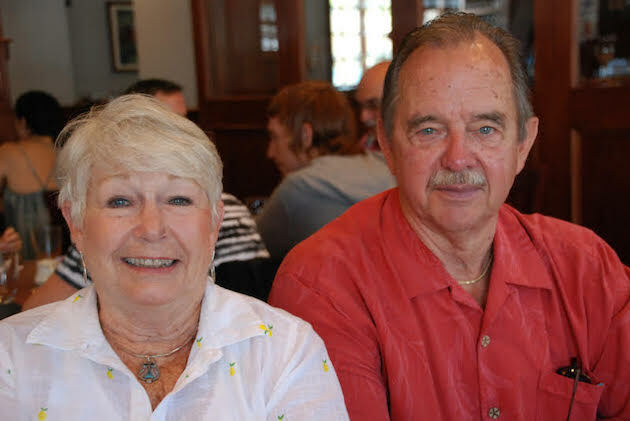 October 9, 2016 - Although the DCS (Danbury Commuting Society) picnic in Kent, Connecticut was rained out, it didn't stop alums from dinner together, hosted by Tom and Midge Brown at their Danbury abode. 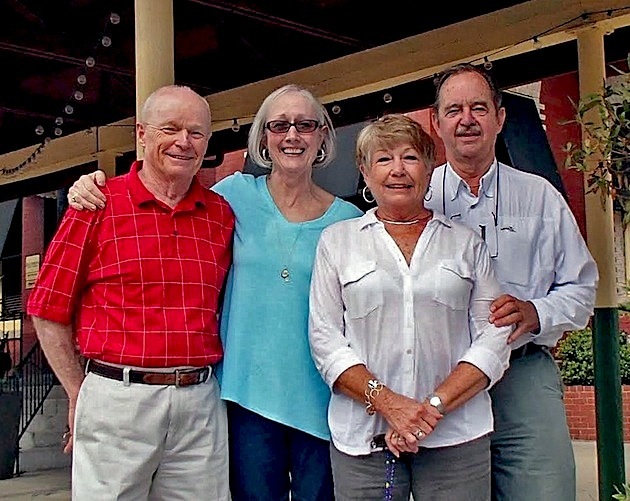 Left to Right: Don and Linda Fleming, Jan Golon, Midge, Diane Kennedy, Mike Hagan and Tom. Well done! 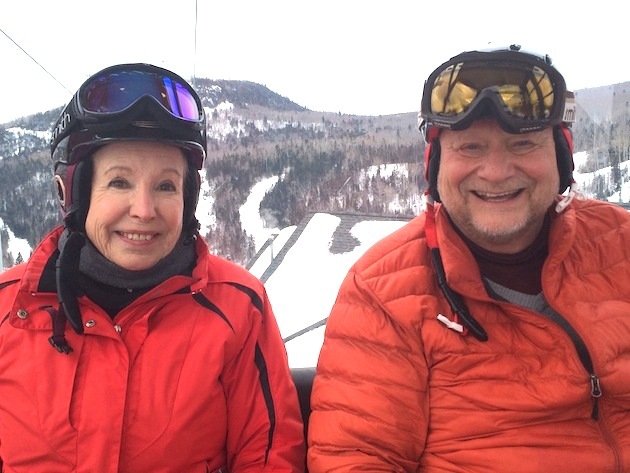 March 3, 2016 - Terry Andersoon-Wood joined Svein Husevold and his friends for a day of skiing at the Lutsen Mountains in Minnesota. October 18, 2015 - Answering the call for more pictures, Geoff Shrewsbury sent in this image, taken during an open house at the JFK Flight Center with adorable granddaughter Dezarae. Geoff still wears his TWA uniform well! For more of his member photos, click here. down the aisle. 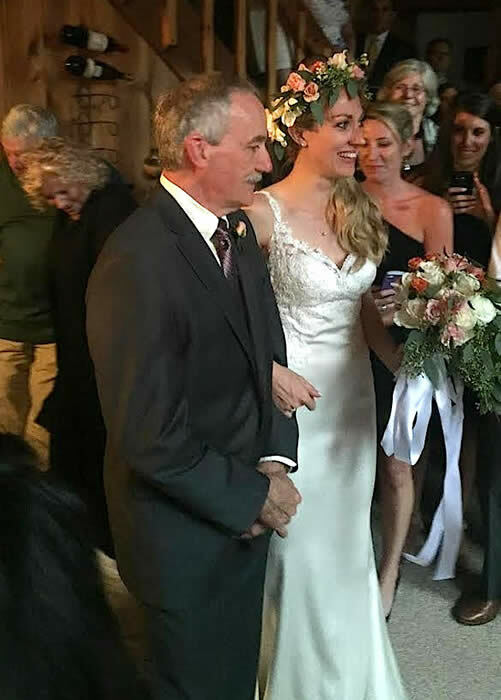 Congratulations, John and family! 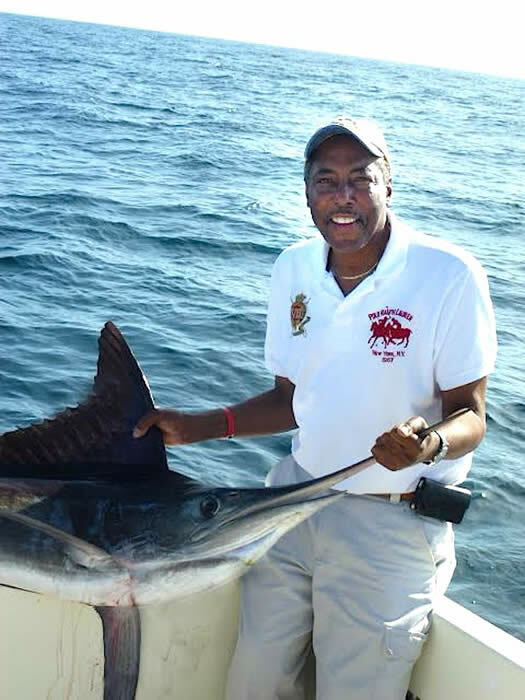 caught and released while fishing off Cabo San Lucas, Mexico. 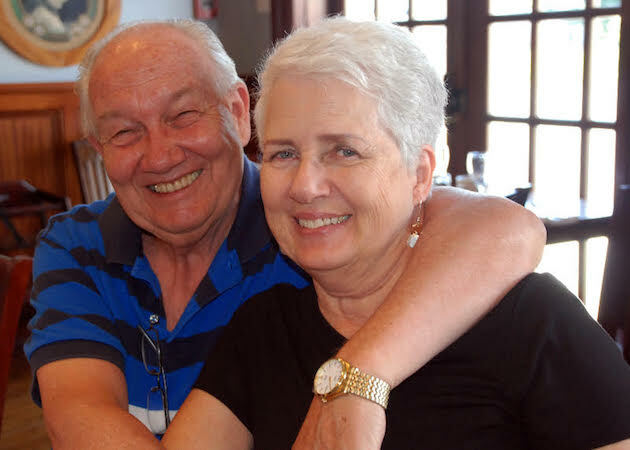 Midge and Tom Brown, in Columbia, South Carolina. 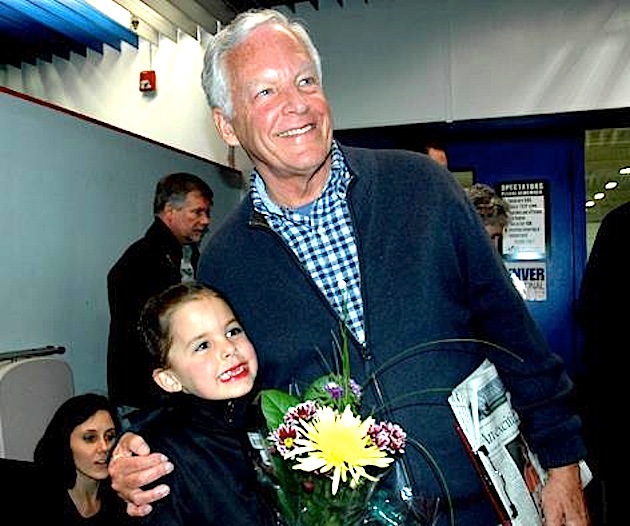 March 2015 - Mert Nason, with granddaughter Brooklyn Nason, after she won double gold-medals in her debut ice skating competition. Congratulations, Brooklyn! 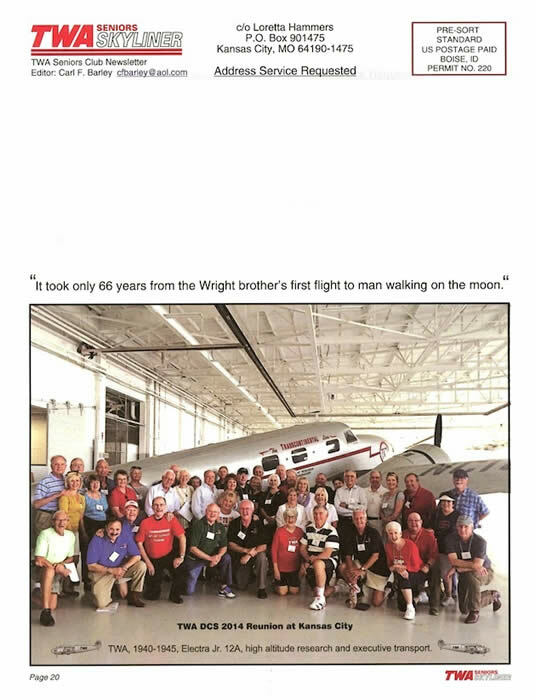 February 19, 2015 - Congratulations to Rocky Dollarhide, who was awarded the Wright Brothers Master Pilot Award, for practicing and promoting safe aircraft flight operations for more than 50 consecutive years. 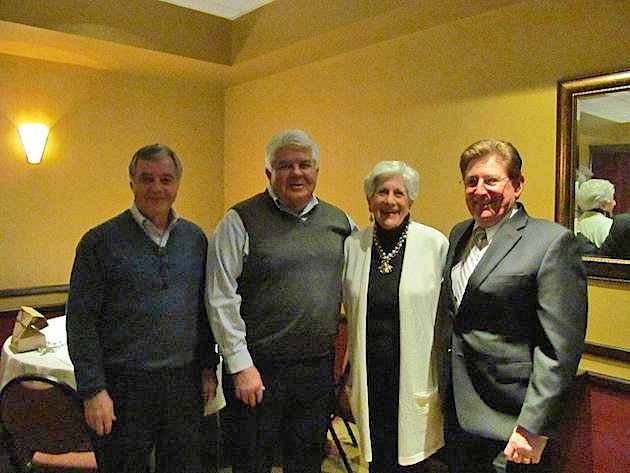 Posing at the presentation are Denny Mangus, Rick Rowe, Arlene Elliott and Rocky. Our group made the back cover of the current issue! 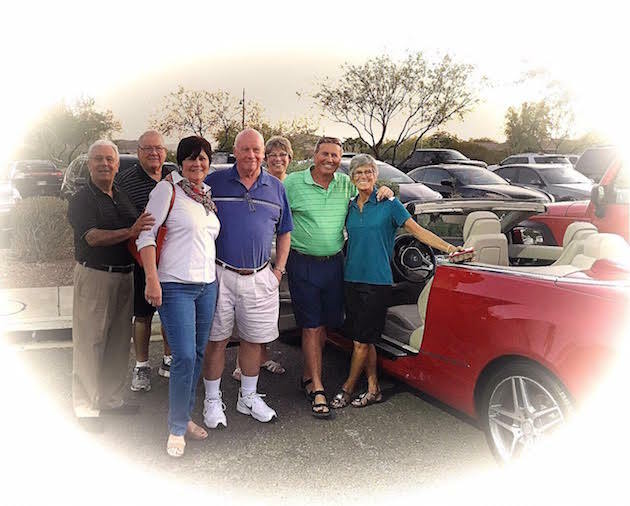 To join the TWA Seniors group, click here for more informtion. 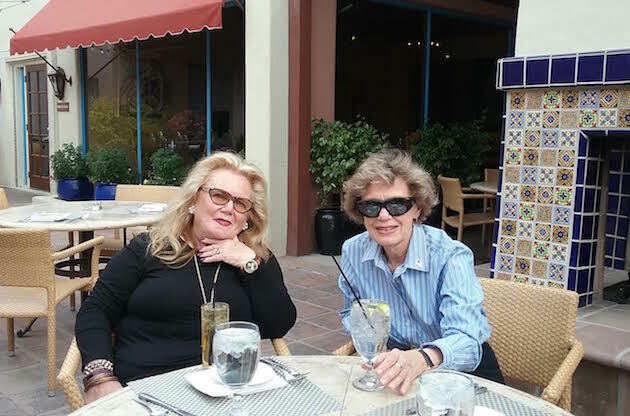 met for lunch at Seasons 52 in Orlando. 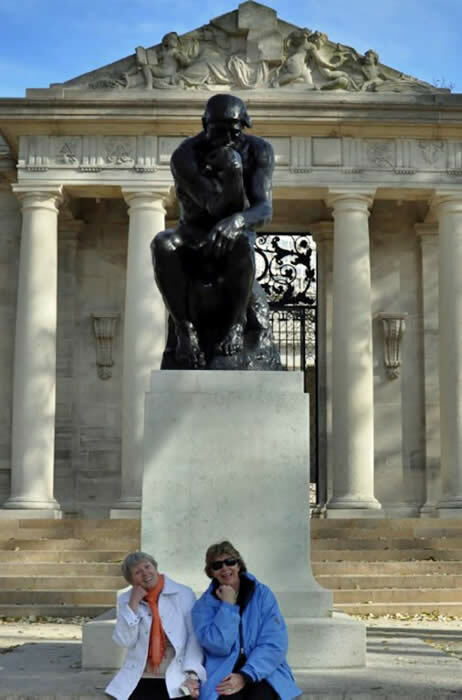 in the City of Brotherly Love, posing in front of "The Thinker." 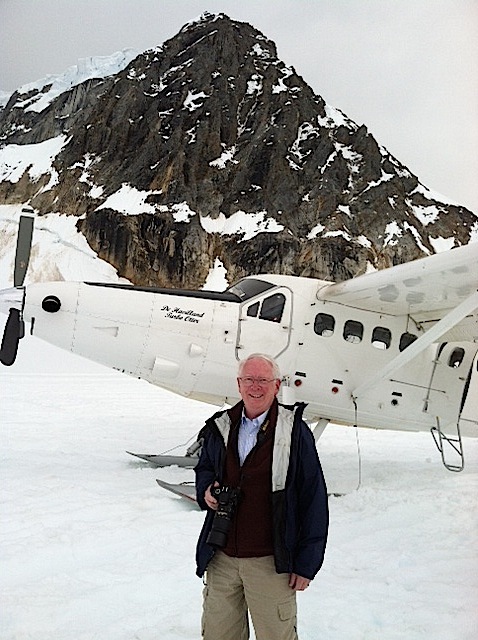 on a glacier in Alaska's Denali National Park. Congratulations, Tom! 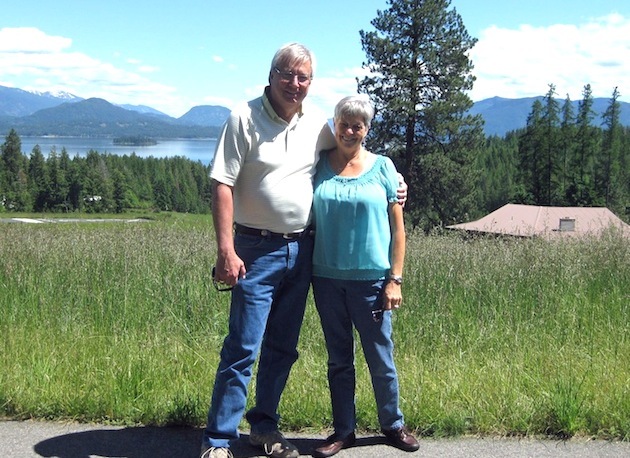 Jon Proctor in Sandpoint, Idaho. 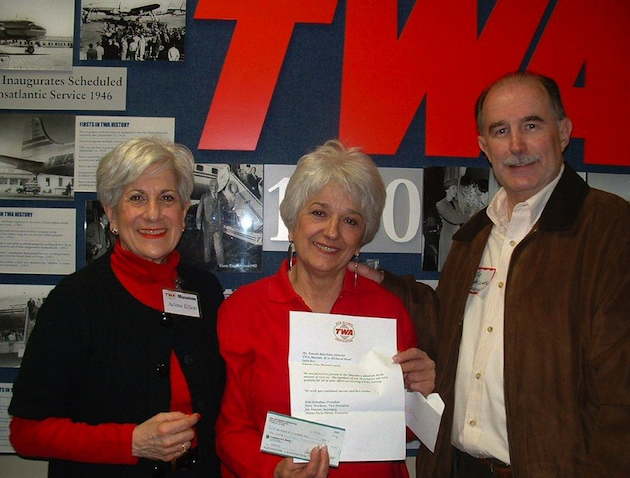 Our $500 donation to the TWA Museum at 10 Richards Road in Kansas City was presented to Museum Director Pam Blaschum (center) during an open house, by DCS Alumni Association Treasurer Arlene Elliott and Alum Joe Ballweg. Are you planning to hook up with other DCSs soon? If so, get a picture and e-mail it to Jon Proctor, so we can post it. 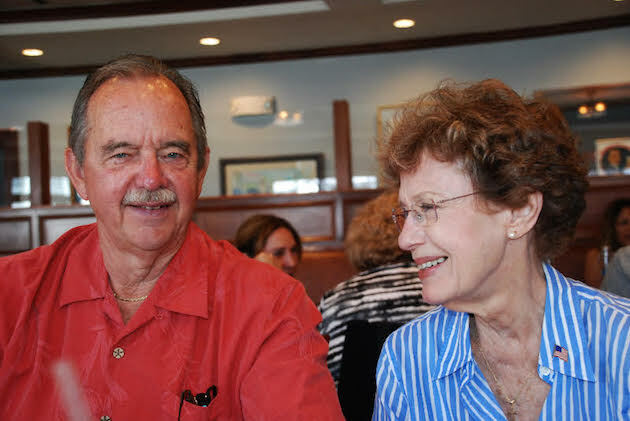 Meanwhile, check out the Members in the News page to see who has rendezvouzed recently. Do we have your class photo? Sadly, the complete set of pictures was lost many years ago. Please dig deep and help us fill in the holes. We won't rest until all the classes are epresented! We also have a few question marks (?) 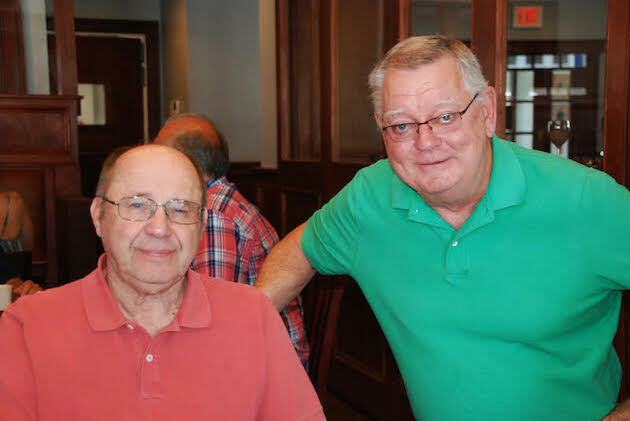 where people in the pictures have not been identified; let us know if you can provide names. 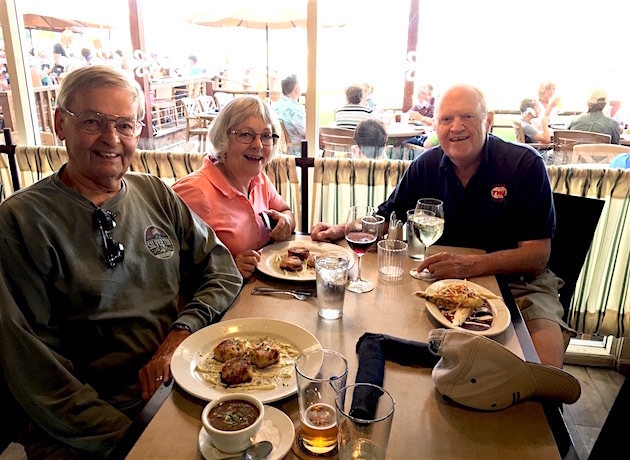 In addition, we would welcome your old photos, stories, memories, amusing anecdotes, etc., so that we can post more DCS memories on our Member Pages. If you are computer-savvy and can scan and e-mail your photos, please do so and send them to us. If not, consider letting us borrow them; they’ll be scanned and returned to you post-haste. Finally, we are linking photos on our In Memoriam page. If you have snapshots of any of those fine DCSs we've lost, please send them as well.